To the cook and chef, herbs a culinary delight adding flavour to their creations, and most aren’t even aware that they are infusing their tissues with healthy benefits as they eat the herbs used in meal preparation in both salads and cooking. 1. Naturally and consistently In your Diet! 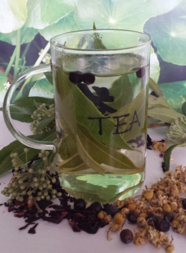 Real Infusions and NOT fruit sprayed and sweetened Herbal teas pack the most Punch and activity. For thousands of years, people around the world and across all cultures have relied on herbs and spices for health and wellness. Infusions are also used in my skincare to boost the activity of the product being formulated. 3. Prescribed and compound Liquid Formulas. Herabalists around the world are increasingly using herbs ( and other natural therapies) alongside modern forms of treatment with a different and scientific understanding of the body’s power to heal itself given the right support. Herbs can be used in their own capacity to heal and renew the body systems as well sto support, soften and reinforce the healing efficacy of other forms of treatment. 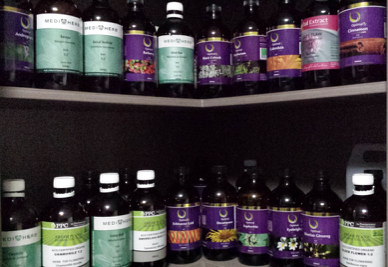 Herbs are not only GOOD Medicine but more and more being recognised as Scientific Medicine. It is a safe and effectiv medicine when administered by a qualified Practitioner.. All herbs used are manufactured according to a strict code and The raw herbal materials are strictly regulated and audited to species and activity levels. A trained Herbalist can also identify the possible Interactions when used in conjunction with other treatments. Some herbs enhance the use of modern medicine enabling lower doses of drugs, esp when they have side effects at higher doses, and when it is a contradiction to use them together. Herbal Medicine offers an individual the gift of control over restoring their body after it has been assaulted by disease and will help you to restore balance and even with the right support offer the ability to rejuvinate damaged tissue to it’s healthy and vibrant state. For Adults, Children and Infants, herbs are an important adjunct to gaining and maintaining health. Immune System: Essential and effective with Treating, Supporting , and Restoring the Immune System. They will improve and heal from Inflammatory disorders , Both the chronic and Acute Respiratory weaknesses, Allergenic, Bacterial and Viral Infections that effect Skin, Organs and Respiratory Systems. Digestive and Elimination System: herbs can be used to heal and support the Digestive process without causing problems in other areas as a lot of modern drug therapy can do. As a balanced and efficiently working digestive system is the platform for assimilating and absorbing nutrients from food and medicines, as well as an efficient detoxification and elimination process , it is the starting point for most successful wellness programmes. Skin: With the Detoxification and Elimination systems correct and balanced, the body can then improve and restore the many layers of the skin cells so the largest organ in the body can breathe and detoxify as it was designed to do as well as be a healthy smooth and supple covering that defines our appearance and protects us from the elements. Adrenals and Hormonal Balancing: With the exposure of so many hormonal and mineral disruptors on our systems with our modern day diet, technology, drugs and environment, Herbs come into their own in their actions and abilities to correct and balance the hormones so they work in sync with each other again as they are designed to do. With the unrelenting but less critical ( than our ancestors) stressors we put our bodies through the Adrenals glands are overstimulated and then fatiguing and /or burning out with much more frequency, then we would like and herbs have the ability to both nourish and restore the Adrenal glands to cope with these stressors.